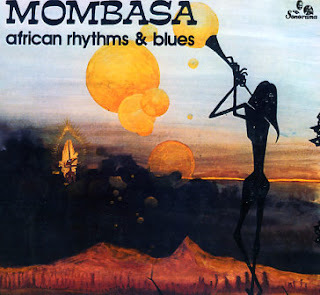 As first sampled on the Africafunk compilations by Russ Dewsbury this is a classic and sought after blend of spiritual jazz and African rhythms. Original copies of the LPs now exchange hands in the region of £100! Six tracks, pulsating african rhythms with funk bass and heavy brass sounds. Lou Blackburn, from LA, put the band together in Europe and recorded two LPs as Mombasa.